An American football quarterback who currently signed for Missouri Tigers is Kelly Bryant. He previously played for the Clemson Tigers until 2018 when he announced his intention to transfer after losing the starting position to freshman quarterback Trevor Lawrence. He is a well-known football player. He plays in the match by wearing the shirt number of 2 and plays in the position of Quarterback. Kelly Bryant has officially signed for Missouri Tigers. On Thursday, Missouri has officially announced the signing of the quarterback from Clemson Tigers. The 22-year old Bryant will start playing for Missouri Tigers when the classes start in January 2019. Ramon Robinson, mentor of Kelly Bryant since high school claimed that Bryant was approached by more than 20 teams after Bryant hinted to leave Clemson Tigers. Earlier, former Clemson Tiger quarterback, Bryant indicated that he is ready to transfer. Clemson's head coach Dabo Swinney demoted Bryant to the reserve quarterback for the team. Trevor Lawrence was given the starting quarterback duty. Bryant informed Swinney that he will transfer. Kelly is famous for as former Clemson's starting quarterback. Kelly Bryant was born on 25th September 1996. Currently, he is 22 years. He was born in Calhoun Falls, South Carolina. His nationality is American. Being a famous footballer, he has not spoken about his parents' details to the media. Moving towards his education, he attended Wren High School in Piedmont, South Carolina and later graduated from Clemson University. Kelly has got an attractive and super hot body. He is very handsome. Talking about his body features, his height is of 1.93 m (6 ft 4 in) and has a balanced weight of 100 Kg (220 lb). His charming smile attracts lots of lady towards him. He has got a lot of follower towards his because of his hot body. Kelly started his career from his school time and as a senior, he had 3,579 passing yards with 41 passing touchdowns, 720 rushing yards, and 14 rushing touchdowns. After that, he played from his college under Dabo Swinney, his head coach. He was unable to play in the first half of a game, as he was vomiting blood in the locker room and was taken to the hospital. He spent two years in his college, Clemson as a backup to Deshaun Watson where he completed 13 of 19 passes for 75 yards with a touchdown and interception. After Watson left, Kelly was named Clemson's starting quarterback to open the 2017 season. His head coach, Dabo Swinney announced freshman Trevor Lawrence would be the new starting quarterback for the Tigers on 25th September 2018. Due to this, Kelly decided to transfer and he maintained his final year of eligibility, despite starting 4 games of his senior year, due to a recent change in NCAA redshirt guidelines. Bryant has signed for Missouri Tigers. He will start playing for the Tigers from 2019. The famous American football quarterback, Kelly has a net worth of earning in millions. The exact net worth of Kelly has not been revealed yet but he is earning a good amount of money from his career. His exact salary is still to get unfold but there is no doubt in the mind of followers that he is earning a good amount of money. As of 2018, Kelly is possibly single. He is not married yet. There are no any rumors about him spotting in any places with anyone. He is also a very secretive person as he has not revealed any information about his love life to the media. He is focusing his career that in love life. 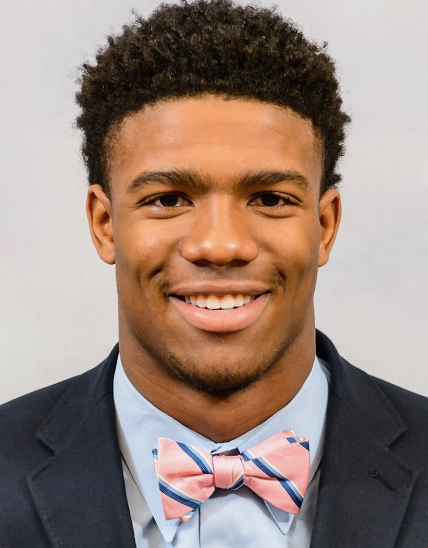 In exclusive interview, Clemson football quarterback, Kelly Bryant says he will transfer.